Dig In! to God’s Word with your kids and feed them the spiritual nutrients they need to live faith-filled lives. These fun family devotions were written especially for 8- to 12-year-olds, but the insights into God’s Word are nutritious for all ages. 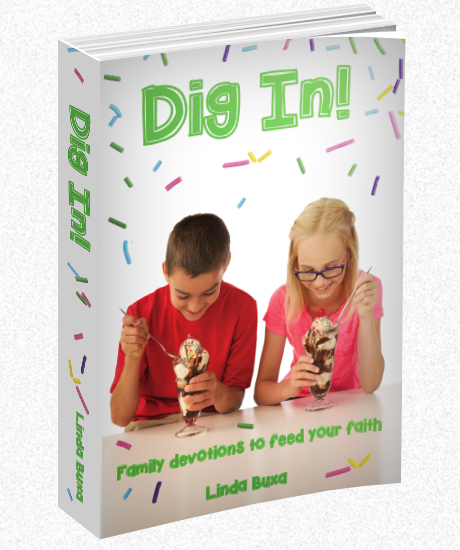 With devotions such as “Liar, liar, pants on fire,” “You stink!” “You were a werewolf,” and “Dessert is coming!” Linda Buxa gets down to kid level and teaches Bible concepts and God’s Word in terms that are not only easy to understand but loads of fun. Paperback book, 384 pages, 5.5" X 8.5"
Successfully added Dig In! Family Devotions to Feed Your Faith to your cart.